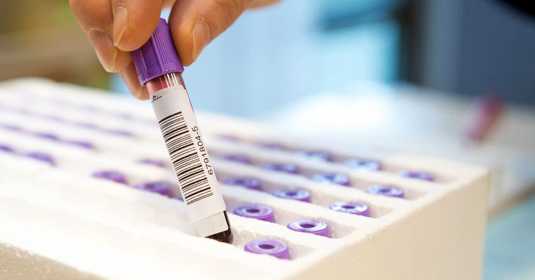 Biobanks are repositories of personal medical data and biological material, such as DNA, blood and tissue samples, collected for research purposes. Legal scholars at LMU and Augsburg University recently produced a draft bill outlining a regulatory framework for biobanks. Here, Jens Kersten, Professor of Public Law and Administration at LMU, explains why biobanks need a defined legal basis. You have just published a draft text for a biobank law. Why now? Jens Kersten: Biobanks are archives of biological material obtained from human subjects for use in medical and biological research. Everything from tears to tissue samples can be stored in these repositories. The samples are accompanied by highly sensitive personal information, such as the age of the donor and details of genetic predispositions for a spectrum of diseases, so that medical researchers can screen the specimens and draw biologically meaningful inferences from it. Unlike genetic screening, which is regulated by the Genetic Diagnostics Act, the use of information by biobanks is currently subject to no legal restrictions, although the material deposited in biobanks is actually used for similar genetic analyses. As a result, there is a great deal of uncertainty among researchers regarding the legal limits to the use of this material. At the moment, it is extremely difficult even to work out what statutory provisions are relevant in this area. The legal position is tremendously confusing. So, together with specialists from Augsburg University, my colleagues and I at LMU have formulated a draft proposal for a Biobank Act. The idea is to provide a framework that can accommodate the legal challenges posed by current and future progress in biomedical research. On what legal basis do existing biobanks conduct their operations? Kersten: At present, nobody really knows what legal principles are applicable to the work of biobanks. Existing biobanks observe the provisions set out in legislation on the use of personal data, but otherwise they are free to make their own rules, and that is not a good recipe for transparency. Data protection law does not address questions like the following: Does one need a license to operate a biobank, or how can donors who subsequently withdraw permission for use of material and personal data ensure that their wishes are respected in a system in which specimens and data are globally shared? Right now, individuals who donate samples of blood or tissue have no real idea what they are letting themselves in for. And what is the present position with respect to data protection? Kersten: A paradigm change is currently underway in the area of data protection law, specifically in connection with the rise of the internet, social media and biobanks. In its judgment concerning the Population Census Act of 1983, the Constitutional Court set out the principle that everyone must be told what his or her data will be used for. In light of the pace of technological change and what has become normal practice on Web 2.0, that principle has become unworkable. Nowadays, in practice, the basic right to informational autonomy can no longer guarantee the protection of personal data. That’s why we need IT systems that we can trust, which was the real import of the Constitutional Court’s 2008 decision on the constitutionality of covert online searches. It is also the reason why we need new and clearly defined legal guidelines for the operation of biobanks. How do biobanks now go about ensuring that personal data are not misused? Kersten: In principle, consent should be sought every time the data is to be employed for a specific purpose. This presents problems for biobanks and for research projects, because one cannot anticipate what follow-up investigations may be required. That in turn raises the question of whether anyone can demand – or grant – global or blanket consent. Are people in a position to consent to the use of their genetic material for scientific purposes anywhere and everywhere in the world? We believe that, in principle, donors are capable of making such a decision, provided they are properly informed of the potential benefits of such use. Do biobanks archive the real names of donors? Kersten: All biobanks follow the principle of anonymization. Genetic material may only be distributed separately from personal data. Researchers have access to the material and to relevant data, such as the age of the donor and the case history, but they are not given the donors’ names. This, however, raises another problem: What happens if, in the course of the study, researchers stumble on a finding that alerts them to a disease or a predisposing mutation, of which the donor as yet knows nothing, but which may be genetically transmitted to his or her offspring? This problem is sometimes referred to as “Healthy Ill”, which is meant to designate those who are currently in good health but carry a genetic predisposition for a particular disease. The actress Angelina Jolie recently made headlines when she revealed that she had had both breasts removed after learning that she carried a mutation that is linked to a significant increase in breast cancer risk. What does your draft recommend in the case of incidental findings? Kersten: Our draft includes a clause which states that, in the case of curable conditions, incidental findings should be communicated to the donor, if he or she has expressed a wish to be so informed. But we make no recommendation with respect to the donor’s next of kin. Incidental findings always have implications for persons other than the donor. Genetic data are of relevance to the donor’s relatives too. We therefore propose that the donor be informed of these broader implications. In this respect our approach differs from that enshrined in the Genetic Diagnostics Act, which enjoins the physician to advise the donor that his or her immediate relatives should undergo genetic screening for the mutation in question. By means of this provision, the State intended to preserve the informational autonomy of persons who are unaware of the condition and may not wish to know anything about it. But in effect, the clause effectively privatizes the problem, and that is highly unsatisfactory. This is why we decided to limit the circle of those who must be informed to the donor alone. What is to be done if evidence of a pending incurable condition is found? Kersten: We restrict our recommendations to curable conditions. The Genetic Diagnostics Act also does not mandate that donors must be informed about incidental findings relating to effectively untreatable illnesses. The right to informational autonomy itself encompasses the right not to know. On the other hand, if I wish to make use of the right not to know, I have to know a little already. This whole issue is a legal minefield and, above all, it raises problems that are essentially insoluble in practice. Are commercial biobanks entitled to exploit voluntarily donated samples for profit? Kersten: If archived data at some stage serve, in part, as the basis for the granting of patents on drugs or other medical treatments, there is no particular problem in our view. The issue can be dealt with by informing the donors appropriately at the outset. That also holds for data use in research of a military nature. Biobanks will no doubt diversify in the future. We therefore propose the creation of a biobank registry in which prospective donors can find all the information they need. Furthermore, our draft includes a provision that compels firms to explain in simple language on their websites how the data provided will actually be used. Your draft envisages the introduction of a confidentiality clause for biobanks. How would this work? Kersten: The German Council on Ethics has already developed a set of principles for the responsible operation of biobanks, and such a clause is at the core of these principles. Biobanks are forbidden to make data available to employers or insurance providers. In effect, such misuse is already ruled out by law, as it would involve the disclosure of social data, which is a criminal offence. But, as yet, there is no comprehensive formulation of confidentiality with specific reference to biobank data. It is, for instance, not clear whether or not data obtained from a biobank may be introduced as evidence in a court of law. We recommend that the existing right of refusal to provide evidence be extended to biobanks, and that they be granted immunity against the seizure of evidence. That would mean that none of the data could be used in criminal proceedings. Our proposed legislation also takes care of cases of the disclosure of confidential data by biobank employees. It specifies explicitly that anyone who deliberately reveals personal data will be liable to prosecution. Are the many opportunities for misuse not likely to deter donors? Kersten: That is why, in our opinion, a biobank law is required. It would provide the legal security that people need to enable them to support scientific progress without having to worry about possible hidden agendas. Active participation promotes public health, because the primary value of the data stored in biobanks lies in the contribution they can make to medical research and the development of new therapeutic agents and treatments. A binding legal framework that standardizes the conditions under which biobanks operate is necessary precisely because medical research is so important.